Orthodox icon The Theotokos, Our Lady of Tenderness, The Virgin Eleusa, iconography by Georgi Chimev. 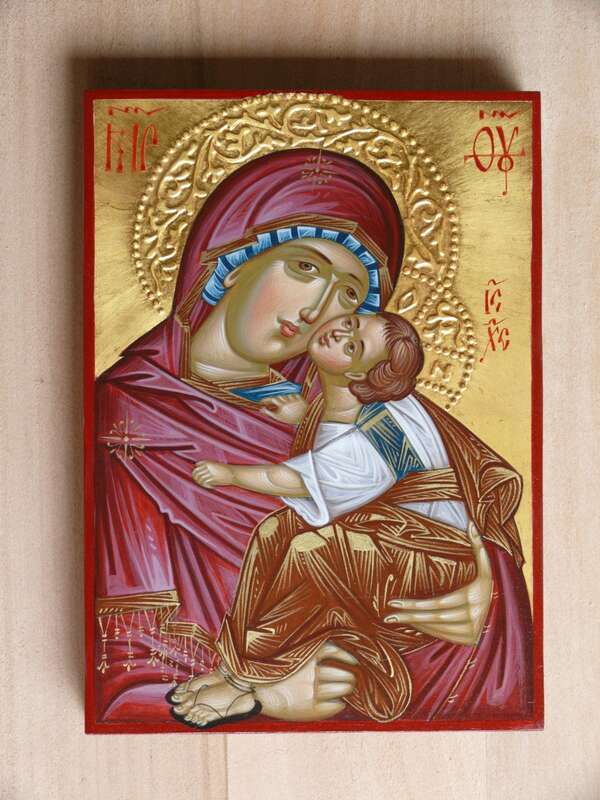 The image present to you this beautiful hand-painted orthodox icon created by Bulgarian artist Georgi Chimev. The icon will be painted on a handmade wood panel with tempera on stucco canvas. We used gold leaf for the halos and background icon. The icon will be varnished with a couple of layers to assure a long-lasting image and to make it easy and safe to clean it from dust. The back will be varnished with darker tone semi-transparent varnish for a nice finish.